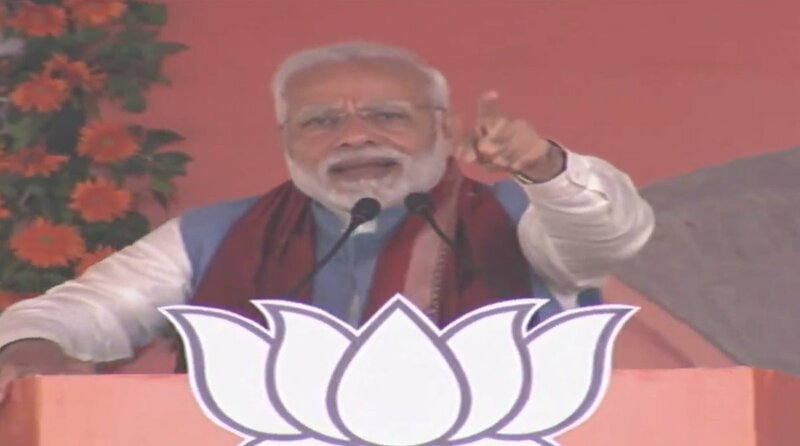 Bhubaneswar: The Bharatiya Janata Party (BJP) has continued its aggressive campaign in Odisha.The Prime Minister Narendra Modi will once again visit the state on 16th of this month to address two rallies at Bhubaneswar and Sambalpur. State BJP vice-president Samir Mohanty on Sunday said the Prime Minister will conduct a road show from Biju Patnaik International Airport to the venue of his meeting, the Baramunda Ground, via Ganga Nagar and OUAT Square. He will also visit Sambalpur and address an election rally there the same day, BJP leader Dharmendra Pradhan said. Bhubaneswar and Sambalpur parliamentary constituencies will got to the polls in the third phase on April 23.